The Call of Duty: Black Ops 4 Blackout beta starts next week, and there’s probably a lot you want to find out. 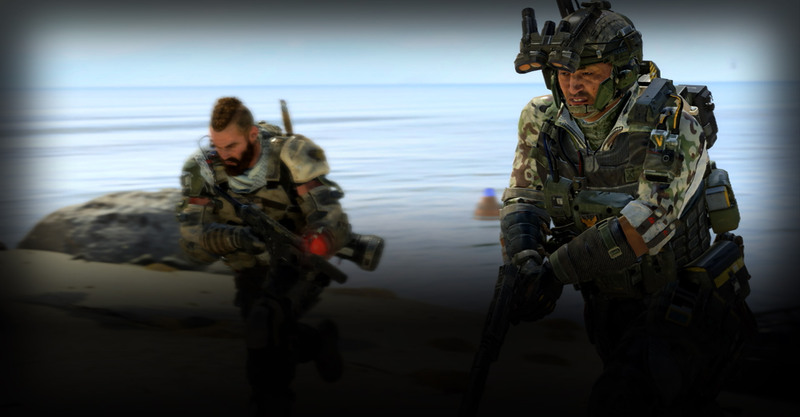 These past few days, Activision and Treyarch have been slowly revealing many details about Call of Duty: Black Ops 4’s Blackout mode. This is the first attempt at a battle royale mode in a Call of Duty game, after all, so all eyes are naturally on the teams to deliver something that fans of Call of Duty, and those who can’t stop playing battle royale modes in other games, will find enjoyable. In this story, we’ll be going over the hard details of how to get into the beta, the schedule, content and so on. We also have a section dedicated to some of the more crucial Blackout details like player count, zombies, vehicles and a few other gameplay changes exclusive to Blackout. When does the Call of Duty: Black Ops 4 Blackout beta start? The Black Ops 4 Blackout beta will be available starting Monday, September 10 at 10am PT, 1pm ET, 6pm BST. During this initial launch, the Blackout beta will only be available on PS4, all the way until Friday, September 14. On Friday at 10am PT, 1pm ET, 6pm BST, the Blackout beta will be expanded to include both PC, and Xbox One. PS4 players will continue to have access until the beta ends. Just like it was with the regular multiplayer beta, PC players will also get the chance to try out the game completely free. The PC open beta will be available starting Saturday, September 15 at 10am PT, 1pm ET, 6pm BST on Battle.net. All you need to play is a free Battle.net account. Activision has not announced any plans for open betas on either PS4, or Xbox One. When does the Call of Duty: Black Ops 4 Blackout beta end? The Black Ops 4 Blackout beta will wrap up on Monday, September 17 at 10am PT, 1pm ET, 6pm BST. This goes for all platforms. Can you pre-load the Call of Duty: Black Ops 4 Blackout beta? Yes, the beta will be available to pre-load on PC, PS4, and Xbox One. Technically, if you didn’t delete the first beta‘s install off your console/PC, you already have a large chunk of game files on your drive. Those who kept the multiplayer beta installed will just need to download a patch to be able to access Blackout. How big is the Call of Duty: Black Ops 4 Blackout beta? The first multiplayer beta was a bit over 31GB, considering that you’ll need to patch that client to be able to play Blackout, the size will likely end up being even larger. We’re working on finding out the full download size for those who are going to be grabbing the whole thing next week. The Call of Duty: Black Ops 4 Blackout beta is not open to all players. The only guaranteed way of getting in is pre-ordering a copy of the game at retail, or digitally through the PlayStation Store, Xbox Store, or Battle.net for PC. Pre-ordering at retail gets you a token you can redeem on the official Call of Duty site, which in turn provides you with a PS4/Xbox One code for the beta. If your pre-order was made digitally through PSN/Xbox Store/Bnet, you will be able to download the beta through your console’s store (or the Bnet app) when it becomes available. If pre-ordering is not an option, you should still watch out for key giveaways online. Treyarch gave away a bunch of codes during the last beta on Twitter, and the same will likely happen with Blackout, too. If you’ve already done this song and dance with the multiplayer beta, you won’t need to do anything else. Just re-download the beta from your library, or if it’s still installed, just wait for a patch that’ll turn your existing client into the Blackout beta. Activision has not said if the Black Ops 4 Blackout beta on PS4/Xbox One will be opened to all players at some point in the future, though you may not want to hold your breath. PC is the only platform with a confirmed open beta, as we’ve outlined above. What PC specs will I need for the Call of Duty: Black Ops 4 Blackout PC beta? Treyarch has not provided minimum and recommended PC specs specifically for the Black Ops 4 Blackout beta, so we’ll have to go with the multiplayer beta PC specs, which you can see below in full. What kind of content is in the Call of Duty: Black Ops 4 Blackout beta? Being a battle royale mode, the Black Ops 4 Blackout beta will only have one map. 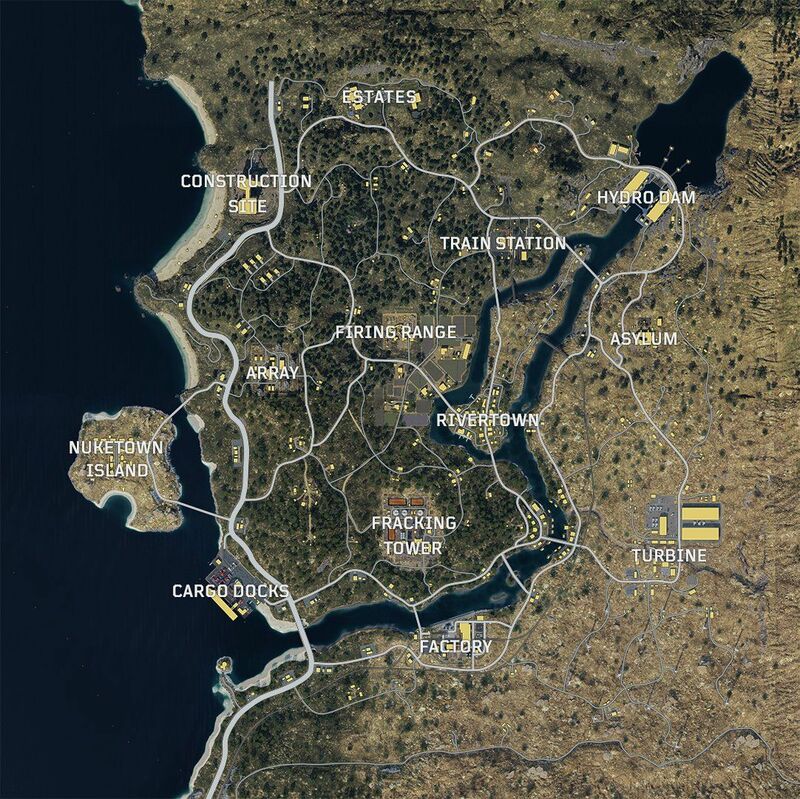 It’s Call of Duty’s biggest map ever, though, full of locations modelled after fan favourite maps from Treyarch’s history like Nuketown, Turbine etc. Treyarch promised that several characters will be playable in the beta. These are just cosmetic models, obviously, but you could end up looking like Mason or one of the many Zombies heroes. The Blackout beta also has its own, Blackout-only characters. Outside of that, you can expect a whole host of weapons and tools for you to loot and make use of. Blackout has four vehicles, including a helicopter. They can all be used for transportation or scouting, but the truck lets you store loot in the back for use later. Blackout supports 80 players in the beta, though this number could change for launch. You can play it solo, with a friend in duos, or three other friends in quads. You’ll be able to carry two primary weapons, and hunt for various healing items. All players spawn with a knife, just in case you can’t get to a weapon fast enough. Perks do make a return in Blackout, but they can only be used for a limited time. Some of these are modified versions of existing multiplayer perks, while others are new to the game. Zombies can spawn in Blackout, but only at specific locations. Killing them has a chance to drop rare items, and some come straight from the Zombies mode like monkey grenades. Is PlayStation Plus/Xbox Live Gold required to play the Call of Duty: Black Ops 4 Blackout beta? You will not need a PlayStation Plus subscription to play the PS4 beta. On Xbox One, however, an active Xbox Live Gold membership is required to play. Does progress in the Call of Duty: Black Ops 4 Blackout beta carry over to the full game? No, all your Blackout beta progress will not carry over to the full game at launch. All stats will be wiped at the end of the test. The post Call of Duty: Black Ops 4 Blackout beta – PC/PS4/Xbox start times and everything else you should know appeared first on VG247.